›› An Individualized Approach: We carefully evaluate the specific type of artwork you have, its condition, and the environment it will be placed in. Then we recommend appropriate options, customized to your taste and budget — from streamlined and simple styles to elaborate show-stoppers. 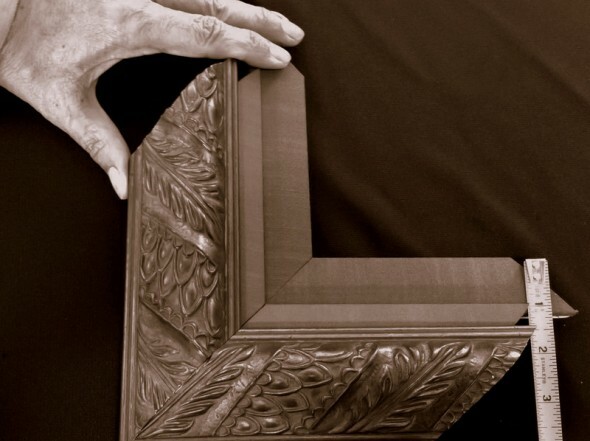 In addition to offering more than 2,000 frame styles (as well as special order mouldings), we specialize in advanced decorative techniques most frame stores can’t offer, including hand-wrapped fabric liners and French matting. View our Gallery to see examples of our work. ›› Friendly, Expert Design Services: We know the number of choices can be overwhelming. 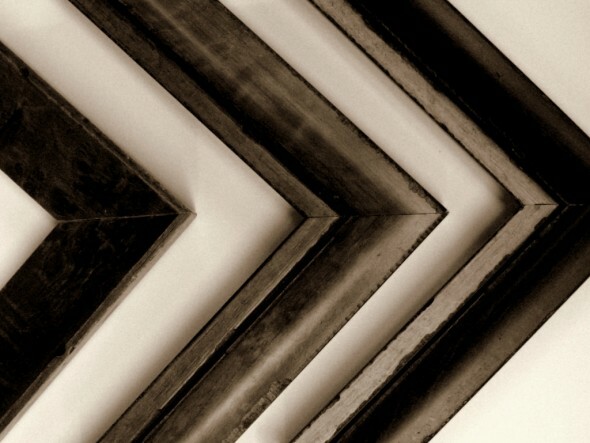 Our talented in-house designers (who all have formal training in the visual arts) are happy to help as much as you’d like to create the perfect framing treatment. If you don’t love the results, we will do it over for you. Read our quality and design guarantee. ›› No-Risk Framing at Competitive Prices: You may be surprised how affordable it is to use our custom services. Although do-it-yourself framing can work for some pieces, it’s always worth investing in high quality framing for anything you treasure. We’ve seen too many cases of serious damage inflicted by unskilled framers and the use of substandard materials; too often, the damage is irreversible. So call us – we’re happy to provide estimates over the phone. ›› Pick-up, Delivery, & Installation Services are available within the San Francisco Bay Area and on Maui. Fees vary according to distance and scope of work. (In Maui, most consultations are done at the client’s site so pick-up and delivery are usually complimentary.) Please contact us to discuss your needs. ›› Archival and Conservation Treatments: We have particular expertise in this area and are among the best in the field. Be aware that claims of “archival methods” and “acid-free materials” alone do not guarantee a framer is handling your work properly. Artscapes not only practices the most up-to-date conservation standards, we have advised museums on preservation framing projects. View a list of artists whose original works we have framed. ›› Challenging Projects: We are accustomed to handling complex projects that require special expertise. Among our specialties is preservation framing of vintage posters, which are often oversize and brittle. If your art is especially fragile or unusual, we can come to the rescue. If you have a major project but little time, we offer a comprehensive art project management service. ›› Art Preservation: We work with top art restorers and conservators. We can oversee the restoration of your art, and have treated entire collections to systematic updating and refurbishment. 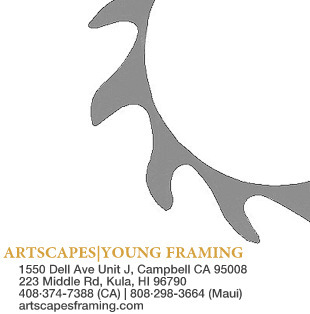 We frequently repair old frames and re-mat artworks that were not archivally treated. ›› Custom Mirrors: Nearly all our mouldings can be made into unique mirrors of any size, with your choice of glazing style and precisely customized to fit your space and decorating scheme. 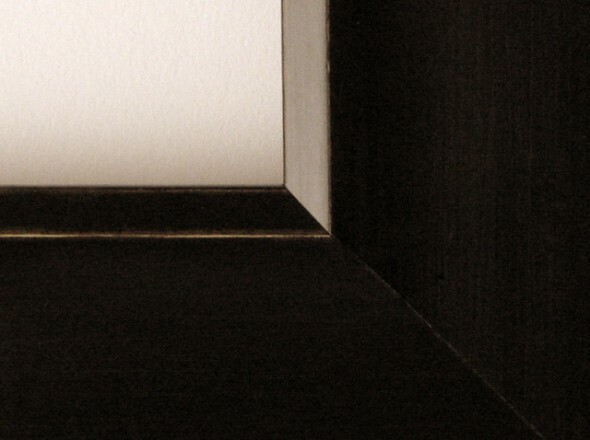 ›› Shadow Boxes: We devise interesting shadow boxes of all sizes for three-dimensional items. Objects such as textiles, family heirlooms, antique jewelry and collectibles, and sports memorabilia become dramatically enhanced with the appropriate shadow box treatment. ›› We guarantee the quality of our work for as long as you own your piece. The framing treatment for everything we do is documented in our framing database for future reference. If any of our work needs correction or repair, we will provide the necessary services free of charge. In the case of damaged glazing, we only charge you for replacement materials, not labor. ›› We also trust that you will love the results of our design work. If not, we will redesign and reframe your piece at no extra charge. (You only pay for any difference in cost if more expensive materials are chosen.) After more than 20 years in business, we’ve only had to do this twice.